The Brisbane Street Studios provides guests with a choice of self contained studio apartments that are centrally located in the inner city suburb of Annerley. The Brisbane Street Studios is only 50 metres from the Princess Alexandra Hospital, has city buses stopping at the front door and the Dutton Park train station just a short walk away. The studios rooms are also close to the Mater and Greenslopes Hospitals and less than 2 km from the Brisbane Cricket Ground and the Buranda Shopping Plaza with its selection of shops and cafes. Combining a variety of self contained accommodation, friendly service and a great location the Brisbane Street Studios is the perfect place to stay for both business and holiday travellers. This affordable property also has lots of great facilities including direct internet access, faxing facilities, guest laundry, free car parking, luggage storage, well equipped gym, tour desk, bbq facilities and baby cots available for families. The Brisbane Street Studios caters for corporate travellers with FREE Broadband Internet connection in all studios and fax use is available to guests upon request. 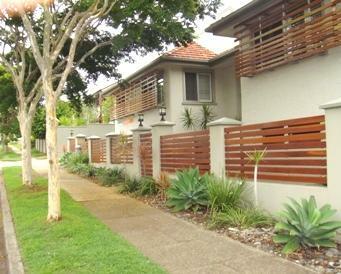 The Brisbane Street Studios Serviced Apartments offer excellent value for money in a fantastic Brisbane location. Budget Double Studio Apt : Sleeps up to 2 guests on 1 Double Bed & Rollaway Bed. Studio Double Apartment : Sleeps up to 3 guests on 1 Double Bed & Rollaway Bed. Studio Quad Apartment : Sleeps up to 5 guests on 1 Double Bed, 1 Single Bed, 1 Set Of Bunk Beds & Rollaway Bed. Studio Triple Apartment : Sleeps up to 4 guests on 1 Double Bed & 1 Single Bed & Rollaway Bed. Studio Twin Apartment : Sleeps up to 3 guests on 2 Single Beds & Rollaway Bed.